Bass (largemouth) fishing is a deceptively difficult hobby to get into. Due to most having begun their experience at single digit ages, it can be hard to work your way into the loop as a late bloomer. I, personally, grew up in some of the best bass fishing turf in the world – Central Alabama. However, due to other priorities, I never touched a rod until I was 19, and on vacation with my future wife. We rented a beat up surfcasting rig and bought an excessive amount of shrimp. Sitting on the dock was peaceful, in almost the same way as your childhood home. Hour after hour passed, sending the sun across the sky like the waves to the beach. As it grew dark, I lit a final cigarette and resolved to leave after this cast had a chance. No sooner than lighter left ash, I heard a piercing whining noise, unlike anything I’d heard before. It took my wife and me 10 minutes of fighting, just to keep the rod within our reach. Suddenly, the line popped, and we knew it was over. Upon closer inspection, though, our hook had been cut straight through by a jagged set of teeth, just below the eyelet. It was then, I knew two things. I’ve caught the fishing bug, and it’s time to find a better paycheck! Upon our return the next day, we were informed by the pier shop manager that a local had reeled in a 60lb hammerhead right after we left, with the chunk of steel still hanging from his mouth. I was determined to experience the rush my experience gave me, so I bought a Zebco 33 rod and reel, some worms, and went to make my mark. I found very quickly that fish were smart, and that I had gotten a stroke of blind luck that night in Fort Walton. Hours after hours were spent, chain-smoking and baking in the Alabama heat, to no avail. Weeks crawled by and I gathered how to catch bluegills, but I had simply lost hope of catching anything worth a tussle. That’s when I started asking questions and finding out about all the caveats of the fisherman’s world. Some were forthcoming and did their best to help by slinging technical terms and brand preferences as if they got paid for them. Others simply said nothing useful and shut their tackle box. Very few took the time to actually impart wisdom, rather than spewing knowledge blindly. As a man based next to so many big name destinations for fishing, I was starting to feel like an outsider in my own vocation. So, I’ve decided to pass along as much information as possible, in an attempt to initiate those who faced a similar plight. The first thing to do is to get yourself a cheap, open-faced rod/reel combo. They’re available for less than $20 at most major retailers and will suit your needs for a long time to come. It’s enticing to get lost in the rows of graphite and carbon fiber spaceship-rated poles we have today, but they are exceedingly specialized and will malfunction under an untrained angler. The reason I recommend an open face reel, which is better known to many as a spinning reel, is due to the ease of use, total spool capacity, and gear ratios, which I’ll hopefully break down in a future article. For now, except that they are easier to use without damage to you or the equipment. 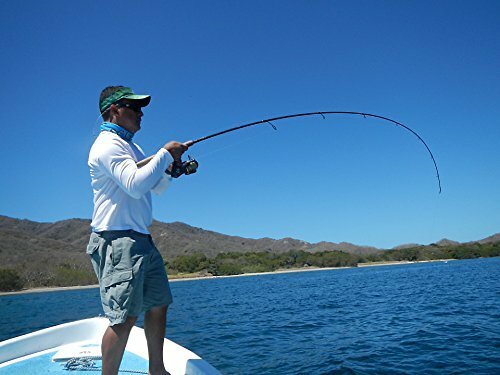 The rod should be medium to light action, and not much taller than you, to begin with. The longer the rod, the easier it is to rocket a lure further. As tempting as it may be to skip to a 7’8” model, longer rods also mean more of a need for finesse and reading the water. Once you’ve gotten your combo, you should spool the rod. Most combos come pre-spooled with basic monofilament line, which is extremely adequate. Find the tag end and look it underneath the metal bar used to disengage the reel. Then, take your line and guide it through the eyelets of the rod, being sure to pass through center holes and not support cutouts. Nope. One rule to start out with that I’ve lived by is K.I.S.S. You may have heard of this acronym before, but if you haven’t, it simply means keep it simple, stupid. The fishing tackle industry is awash with designs meant to entice anglers, not their targets. The average income of an angler has gone up lately, which allows the tackle brands to charge for “crafted” designs that “guarantee a strike”. Unfortunately, there is no such thing as a 24/7 lure. It. Doesn’t. Exist. It can be easy to get caught up in the intoxicating quantities of colors and shapes when you go to fill your first tackle box, but there are a few universal things you should invest in, even with a meager budget. If it ’s largemouth bass you’re after, it’s time to start with a sharp hook. They have a thick, bony plate for crushing prey in the center of their mouths. Great for slipping a wily bluegill down for supper, but bad for ensuring a solid connection come game time. I like to start with a pack of 2/0 EWG worm hooks. These are clearly labeled, and look like a pregnant hook, to be honest. Start with as many as you can manage, because they will never go out of style. Next up are bullet sinkers, or slip sinkers. Used in most of the common rigs I’ll be teaching you, these are also a safe bet to buy in bulk. When available, get a kit that provides different weights and a variety of sizes. Finally, it’s time to pick some soft plastics. Ranging from bugs to bats to crawfish and everything in between, soft plastics are the preferred method of a vast majority of successful anglers. However, their versatility can also be their downfall. There are a few patterns that I find in every tackle box I examine, and those are the first few that should catch your attention. I fish in the deep south, where crawfish grow massive and can still be eaten in one gulp by an alpha bass. Therefore, a lot of the time I recommend a pack of soft plastic crawfish as your first purchased lure. Any green/brown/black/blue color will help a lot. Located under almost every rock in every puddle, crawfish move slowly along the bottom of their body of water, only accelerating to flee danger with a few brisk hops. By studying crawfish locomotion via YouTube or personal observation, it’s fairly easy to figure out how to work the bait. Another solid choice is the typical ribbon-end worm. Meant to mimic everything from eels, to snakes, to simple earthworms, these represent an easy, smooth, and nutritious meal for a hungry bass. They’re available in sizes from 1 inch long to 14 inches long, and can exhibit any color known to man – even some only known to monkeys! Seriously though, if you can dream it, someone has poured it and will sell it to you for a mint. I find the closest to “universally useful” color schemes for said worms are black, purple, white and pink. Any mixture of the prior will produce a reaction strike most days. The newest standby in my memory is the Senko, or soft plastic stickbait. Manufactured to look like a fat, straight, extremely well fed… something, they entice vicious strikes from many species and temperaments of fish. Most colors that apply to other worms are useful with these as well, with the added benefit of some of the most consistent batches of plastics I’ve ever used. These have won tournaments for years, and won’t stop any time soon. And finally, I’d be remiss if I didn’t mention lizards. Lizards are useful baits when your location has swampy lowlands and algae-choked reservoirs, but also prove helpful even in clear water. Something about the shimmy of the tail drives aggressive largemouth insane, and as such, this bait is universally adored by almost all who use it. So, I have the bait, but… now what? I could spend a while typing out instructions for a clinch knot, but thousands have done it more eloquently than myself. Research a clinch knot and learn it well. It’s your best friend on tournament day when you’re hunting for dinner, or even just casting to burn time. Go on, I’ll wait. Okay, so now that you know the clinch knot, I can begin instructing you on the most common rigs used today! Let’s start with the Texas Rig. The Texas Rig has taken the fishing world by storm for the past couple of decades. By threading a simple slip sinker onto your line, securing an EWG hook to your line with a clinch knot, and impaling a bait on the hook, you can assemble the most effective tool in your arsenal. When threading a soft plastic onto the hook, drive the point through the nose of the bait. Once inside around 2cm, bend the hook through the bottom of the bait. Pull the nose of the bait up to the knot at the hook’s eyelet. Take the lure and fold it at a 90-degree angle directly up, with the hook upright. Push the point clean through the lure, and scooch the bait down to complete the rig. The same hooking technique permeates through bass fishing from top to bottom, so mastering this method will help aid you in your quest to quit catching tree bass. Another common rig is the Carolina Rig, which is useful for bass that stick close to vegetation and submerged obstacles. Similar to the Texas Rig, the key difference is the presence of a bobber stop between the weight and the hook. By cinching the bobber stop up and down, you can control the distance between your slip sinker and bait. What this does, is it allows the bait to float nearly freely at a predetermined distance above the lake depths. Using this method greatly improves your experiences in thick grass beds. Lizards are a popular bait for this method, but never be afraid to try any old soft plastic you may have. You might be surprised at the result. Another intermediate rig is the Ned Rig. By tying a small jig head to your line and threading a short, fat chunk of a plastic worm on, you can craft this deceptively simple rig in minutes. 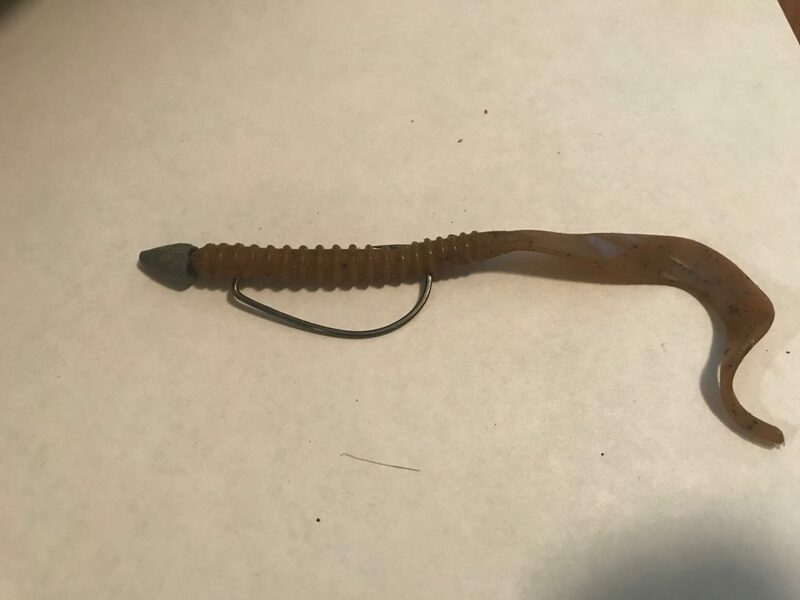 Started in the Midwest as a way to fool wary smallmouth, the miniature profile and slow fall rate of this rig is great for getting past lockjaw on a tough day. You can cast it and let it sink, retrieve it at various speeds to imitate fleeing bait, jig it along the bottom to imitate feeding minnows, anything! This rig truly allows for expression in the travel patterns of your lure. Explore your options and experiment continuously, and you’ll find more fish than you thought resided in your area. So, the bait is rigged up, and my rod is good to go. Time to catch a bass, right? Slow down, champ! The next step is to know where bass live. I can already hear some of you shouting “in the Water!”, but it’s a little more complicated than that. 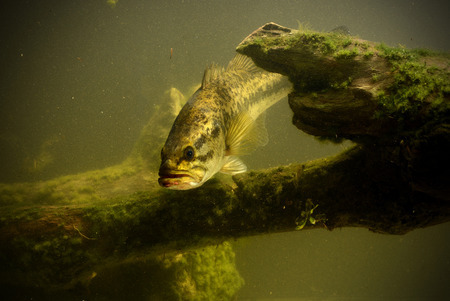 Bass are predatory beasts in their own environment. They stalk, kill, ambush, and plan their way through the food chain on a day-to-day basis, which can prove difficult to decipher unaided. But, bass tend to stick to a few key patterns: Shelter is Required, Shade is Preferred, Oxygen is Key, and Meals are Life. The need for shelter is ingrained in the bass’s DNA. At first, once hatched, bass fry are extremely diminutive compared to full grown specimens of even the smallest residents. As such, having an escape plan is required to pass into adulthood. This, in turn, causes bass fry to ball up and follow a larger bass, often near the shallows of the water and near to vegetation. This allows them to dart away into a jungle of obstruction in the event of a predator attack. This need for shelter grows stronger as they age when they learn to use shelter to provide an ambush spot for unwary prey. No longer the fry-sized meals they once were, juvenile bass reach 8-12 inches fairly quickly and begin to target the locals for sustenance. The same thickets that provided an escape when younger now allow the learning fish to blitz attack vulnerable fish. This leads to a lifelong tether to shelter for most legal-sized bass, which can mean anything from stumps to discarded trash and everything in between. Find a structure, and you will find a fish! Shade is a topic that many anglers overlook. Just as we find respite under a tree during 90-degree weather, bass relish cold spots in the water. Sometimes as minuscule as 1-degree temperature differences are enough to direct entire schools of fish on a detour. I’ve personally caught bass who refused to leave the shadow I cast into the water with my own body, as it gave them a chance to cool down. Target shady banks, underneath boat docks, and under vegetation whenever possible! Oxygen is key! Fish don’t truly breathe water, they filter the oxygen found within through their gills to stay alive. When water grows stagnant and hot, oxygen dissipates steadily, resulting in sluggish fish that may have met their match. In bodies of water fed by creeks or fountains, the most oxygen will be found nearest the mouth of flowing water. This attracts microorganisms to filter feed, which draws in baitfish, that in turn call in apex predators. Some of the biggest bass I’ve seen caught were caught in the rapids of a creek dumping into a lake. Something I agree with strongly is that food equals life. A bass can have a spot picked out that exhibits all three of the previously mentioned tell-tale signs, and will abandon it in a heartbeat to pursue alone shad. 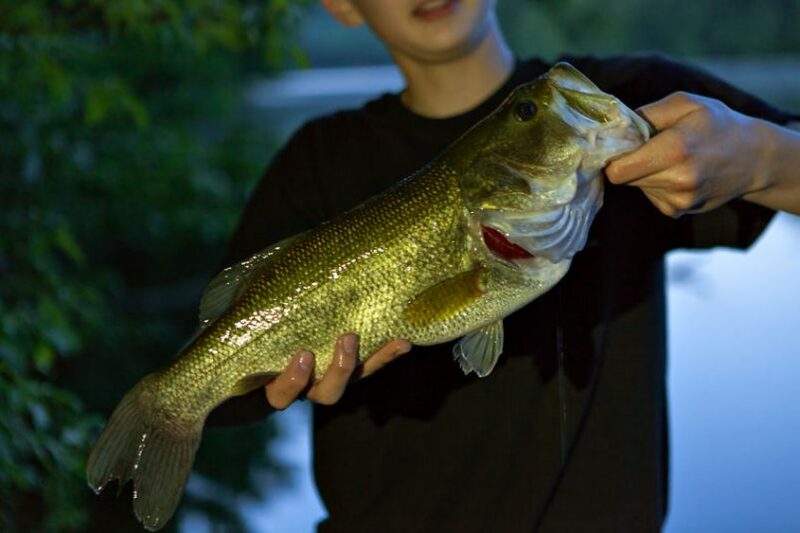 If you’ve found the fishiest looking spot in the lake, and you still can’t manage to entice a bite, start looking for minnows. Chances are, there won’t be any nearby. Bass are smart enough to be nomadic in a sense. They will abandon acceptable quarters to ensure their proximity to food. So, always keep your eyes peeled for large numbers of minnows, as they often signify a much more impressive pursuer. Mostly so. From here, the art of fishing is just that – an art. All of the instruction in the world will not prepare you for the first time your rod thumps and you connect to a lunker. It also won’t prepare you for the feeling of hopelessness accompanying the loss of said fish. It won’t ease the pain the first time a fish hooks YOU, and it definitely won’t save your savings account from draining until you set a record. Bass fishing – and just plain ole fishing – is a treat that everyone deserves. It’s about experimenting, blending your own personal techniques into the lives of creatures far different than us. But, most of all, the ENJOYMENT of fishing can’t be taught. Some can sit on a lake all day, 24/7, hoping to feel the tug of achievement on their lines. The first time you fool a fish with a plastic worm, you will realize just how intricate fishing can be. It’s a surreal experience to try and deceive a fine-tuned predator with a lump of polymers on a sharp metal hook. But, some can catch fish from dawn to dusk and still leave disappointed. Fishing is what you make of it, and I hope you make it as important to you as you need. Here’s to fishing, the last true art. Now go and find your style. This entry was posted in Bass Fishing, Fishing Tips & Other Wonderings on May 27, 2018 by Willie Luker. This is very good “refresher training” for me. It’s so interesting how the fish are able to catch on and learn to not take the bait. It definitely makes sense to know when and where the fish are biting. I currently drive for Uber, and just like fishing, driving for Uber is mostly luck and strategy – strategically placing yourself for the greatest amount of luck and success. It looks like the same with fishing – it pays to know when and where to strategically place yourself for the most luck. Yes sir! The analogy you’ve presented is true as it gets. Fishing is all about being in the right place, with the right bait, at the right time. I’m glad I was able to help you refresh your skills! Don’t forget to watch videos on how bait fish and other tasty snacks act underwater. It genuinely helps improve your chances of landing a lunker! Nice story on how you got hooked on fishing 🙂 As much as I look things up on youtube I never would have thought to watch how various baits move through the water, very interesting. I also learned some things on rigging baits that I never knew so thanks for explaining that so clearly. No problem! I’m glad I was able to help. Watching how forage moves through the water is key, as it helps you imitate movements with a greater degree of accuracy. It’s a well kept secret that should be more public! As far as the rigging instructions, I’ve just barely scratched the surface! There are legitimately hundreds of different ways to rig baits, and new methods are invented every day! Never feel afraid to experiment.